Chelsea Market’s Buon’Italia Has a Secret Pasta KitchenThe gourmet grocer slings a mean paccheri puttanesca and more. Good-bye to the Red Cat, New York’s Effortlessly Uncool Living RoomIt’s the kind of personal, honest restaurant that is hard to define until you see it — and its closing feels like a major blow. The Red Cat, NYC’s Quintessential Neighborhood Bistro, Will Close in DecemberAfter 20 years, chef and owner Jimmy Bradley is ready for a break. 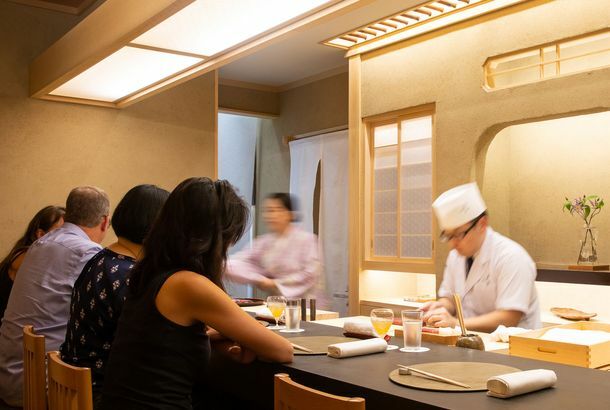 The Absolute Best Restaurants in ChelseaFrom stellar sushi to destination brunch and fine-dining-bargain lunch, this unassuming neighborhood harbors some hidden gems. A Chelsea Penthouse Where Color Takes Center StageDesigners Francis Nicdao and Andrew Sheinman created a rainbow-bright interior for a young family’s glass-walled duplex. Why David Chang Is Reopening Momofuku Nishi As a Full-Blown Italian RestaurantThe revamp raises a larger question: What does the name “Momofuku” now mean to diners? aRoqa Brings Creative Indian Fusion to ChelseaExpect kataifi-wrapped mushrooms with goat-cheese relish and pork dumplings with bacon crumble and vindaloo sauce at Gaurav Anand’s new restaurant. Netflix’s Chelsea Talk Show Switching to a Weekly FormatSeason two is coming in April. In Praise of the Late-Night Shows That Got Real About Election 2016A salute to the programs last night that got emotional about what’s happening in the country right now. Chelsea Clinton Discusses What Her Mom Taught Her About Trump’s CriticismCriticize her all you want … she doesn’t care. Shannen Doherty Discusses Fighting Cancer, Makes Chelsea Handler CryOy. Hilary Swank Shares Dramatic Pay-Gap ExperienceBecause he had been “hot” in one film. 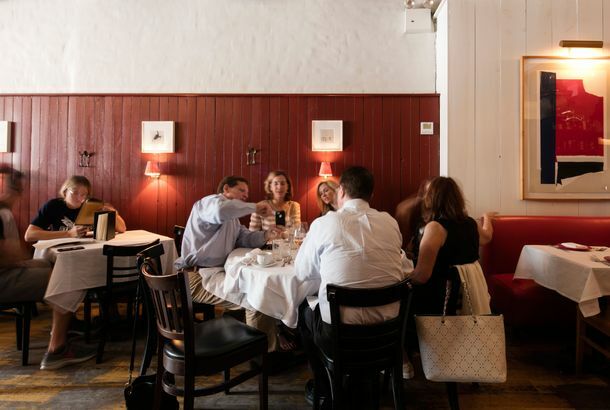 Chelsea Restaurants Are Struggling in the Wake of Saturday’s ExplosionBy as much as 50 percent. Chelsea First Responders Get Emotional When Starbucks Gives Them Free CoffeeAn employee brought over three bags of freebies on Sunday. Celebrity Apprentices Will Not Vote for Trump Chelsea Handler held a Celebrity Apprentice panel. Hummus Sensation Dizengoff Will Open in New York Next WeekHere’s your first look inside the new spot inside Chelsea Market. Watch Chelsea Handler’s Netflix Talk Show Trailer: ‘My Name Is Oprah’Coming three days a week starting May 11. Lisa Spellman’s 303 Gallery Moving to Norman Foster High-Rise Respected gallery, now in a fancy condo tower. A tale of the evolution of West Chelsea. World’s Largest Starbucks Will Open in ManhattanThe company will open a Reserve Roastery in a brand-new, 20,000-square-foot space. Transgender Man Says Whole Foods Co-workers Called Him ‘It,’ Files LawsuitHe says he suffered daily discrimination while working at the grocer’s Chelsea location. Transgender Discrimination at Whole FoodsHe says he suffered daily discrimination while working at the grocer’s Chelsea location. A Noma Alum’s Globe-trotting Pop-up Lands in ManhattanFor six nights only, the chef and his crew are running a restaurant in a Chelsea Airbnb. Freds at the Downtown Barneys Offers More Than Just Fancy SaladsThough there are plenty of those, too. First Look at La Sirena, the Latest From Mario Batali and Joe BastianichThe Babbo boys open their first new New York restaurant in ten years (not counting Eataly). Should Lower East Side Galleries Close Sundays?This may seem like a trivial question, but it’s actually about the art world’s whole balance of power. This New Fast-Casual Spot Aims to Bring Hawaiian Poké to the MassesWisefish Poké opens in Chelsea today. What to Eat at Momofuku Nishi, Dave Chang’s New ‘Noodle Joint’It’s Italian without being Italian, Noodle Bar without being Noodle Bar, and somehow familiar while still seeming new. Chelsea Slasher Linked to Another Attack in the BronxThe suspect has 32 prior offenses. 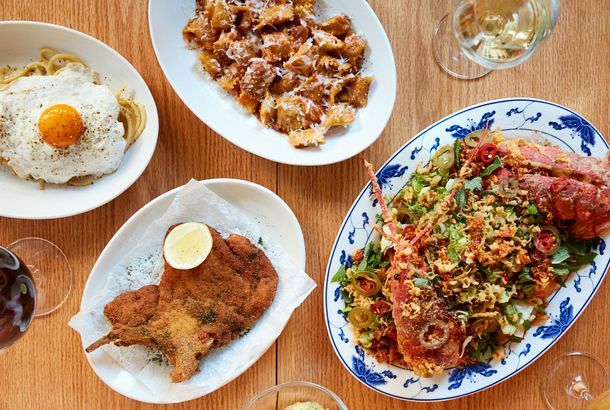 David Chang Opens His New Momofuku Tonight With Italian Food and No TippingMomofuku Nishi will be a Korean restaurant with global influences. Gabriel Stulman’s Montmartre Will Say Au Revoir Early Next YearThe French restaurant is set to close in March. Classic Latin Lunch Counter La Taza de Oro Has Closed for GoodThe restaurant had been open since 1947. Long Island Doctor, Mother of 3, Found Dead After Night Out in CityA Post source says the Manhasset dermatologist used cocaine that night with a Facebook pal. How Mulino a Vino Puts an Avant-Garde Spin on Spaghettoni al PomodoroPasta + Pomodoro² is a pasta-stuffed tomato that comes on a crisp Grana Padano frico slicked with basil purée. David Chang Developing Mysterious New Momofuku Restaurant in ChelseaPork buns? Fried chicken? Burgers? Barchetta Couldn’t Survive in Its Cursed LocationIt’s the latest restaurant to shutter at 461 West 23rd. Alta Linea, at the High Line Hotel, Is Literally Built for Outdoor DiningThe seasonal restaurant specializes in rustic Italian food. The New York Times Just Threw Down the Gauntlet on Fancy BreakfastOne critic argues: Leave the BEC alone. The Martha Stewart Café Is Now Open to Fulfill Your Pinterest DreamsPastries! “Martha’s Blend” coffee! Fancy teas! Inside Danny Meyer’s PorchlightIt opens on Monday, March 2. Is New York Ready for an All-Breakfast-Sandwich Restaurant?Um, yeah, we are. Danny Meyer Will Open His First-Ever Stand-alone Bar This MonthIt’s called Porchlight. Two Dead in Shooting at Chelsea Home Depot [Updated]An employee shot his manager before committing suicide. Umami Burger Employee Claims They Served Takeout in a Box Used for GarbageSo he scribbled “Trash like you” on the side. Laurie Anderson Briefly Trapped in a Hyperbaric ChamberIt sounds like it was unpleasant. Chelsea Art Gallery Exhibit Includes Bonus Tiki BarYou may even be able to be able to score a Zombie Punch or two.